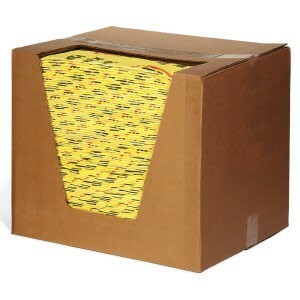 Made of strong polypropylene, these universal absorbent pads are effective for absorbing liquids including hydraulic oil, ethanol, gasoline, kerosene, water, mineral spirits, turpentine and more. 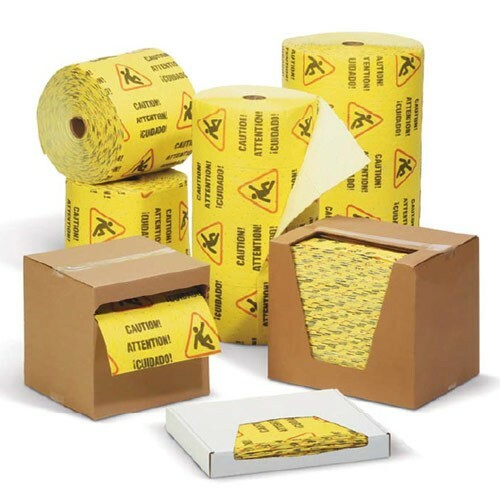 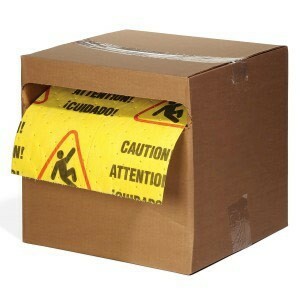 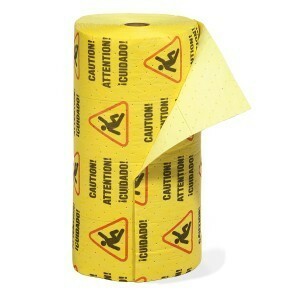 Our absorbent pads for water and other liquids feature a high visibility design that includes both multi-lingual safety messages and the universal slip hazard/caution symbol. 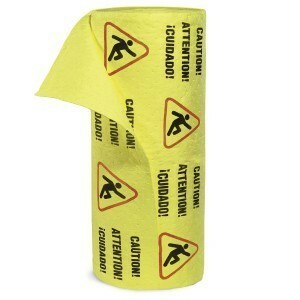 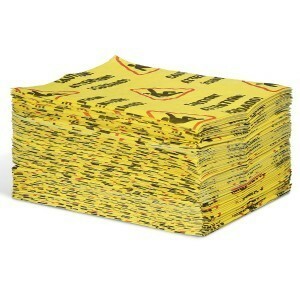 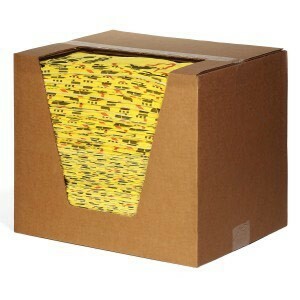 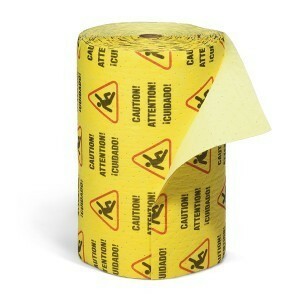 These absorbent pads for water and liquids help take your workplace safety to another level. 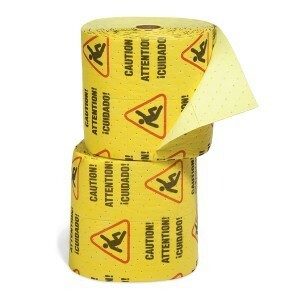 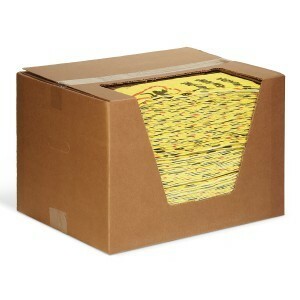 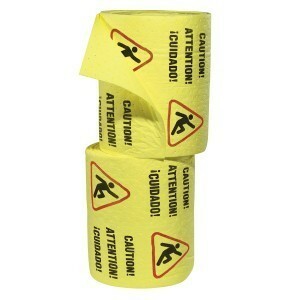 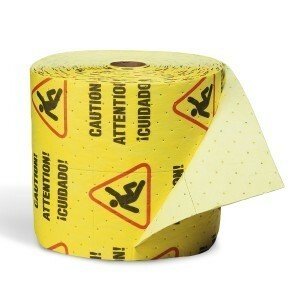 The high-visibility color and caution print draws quick visual attention to any affected area. 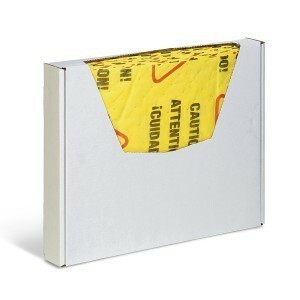 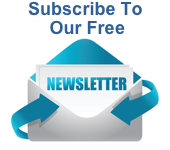 Universal absorbent pads for water, oils, coolant, and solvent spills.